Contact Deborah for session rate. Having someone understand what is happening to you is the first stage in being able to move forward in your life. I help work through what is worrying you and sometimes that might mean helping you to clarify more deeply the root of the problem. Linking present problems to past experiences brings awareness that can provide new ways of thinking, feeling and behaving. Consciousness raising creates new choices leading towards living a more fulfilled and happier life. Working relationally, I provide Integrative supervision drawing on the three core theories of counselling and psychotherapy: – Humanistic, Psychodynamic and CBT. I focus on the developmental process, supporting you to grow and develop as a professional, guiding you to navigate the work where it feels right for you. I supervise professionals and trainees not exclusively to the counselling profession. Professionals such as social workers, teachers, GP’s, police, complimentary therapists, business and work-place situations, nurses, company owners etc, all can benefit from professional supervision. I use the double matrix or the seven-eyed supervisor model which means: examining the dynamics of the range of relationships involved in the situation; focusing down on the minutia of the process; and include the impact the wider context (or organisational context) places on the situation. 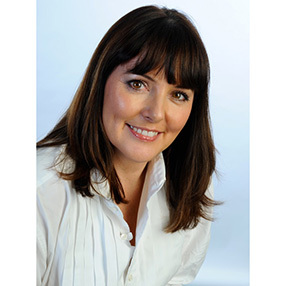 In the counselling arena, I work with fully trained or trainee counsellors – I also focus on supporting you to develop as a practitioner and specifically with trainees who may want or need particular focus such as skills development, applying specific interventions or need theoretical input to gain deeper clinical perspective.